Degree granted to the graduates based on the program. 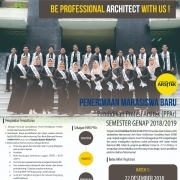 Graduates of the Bachelor Program in Architecture or Program Sarjana Arsitektur are awarded the title of Bachelor of Architecture or Sarjana Arsitektur abbreviated as S.Ars. 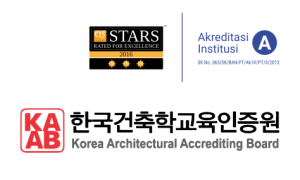 For those graduating from PPAr after they finished their Bachelor Program are awarded the degree of Architect or Arsitek abbreviated as Ar.